As Scotland prepares to make its decision about independence from the United Kingdom, so the English are preparing their own cultural break with tradition by opening whisky distilleries from London to the Lake District in the face of one obvious question: why on earth would you buy English whisky when you can buy Scotch? Though the idea of an English dram seems curious, real whisky aficionados may be more receptive to the idea. The whisky world has been open to newcomers for some time. Whisky is now made in a number of countries beyond the heartlands of Scotland, Ireland and the United States including India, South Africa, Australia and, most notably, Japan. 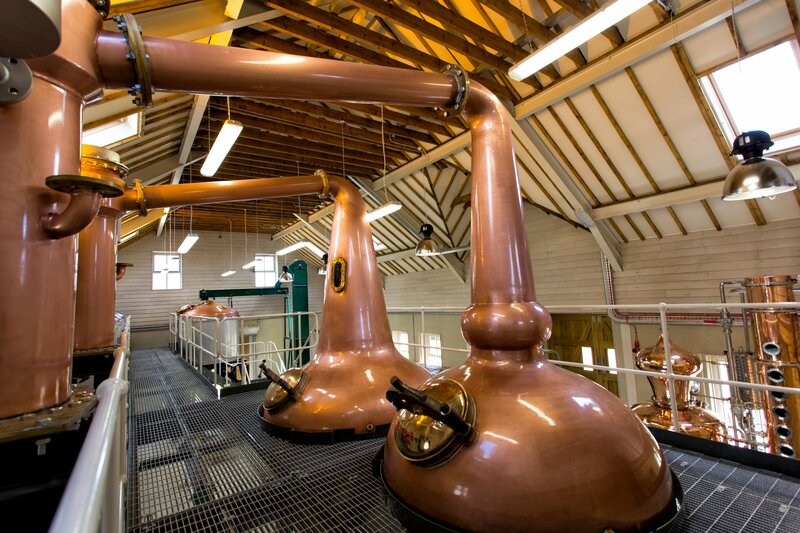 Practically every European country has a distillery these days. Despite the extended timescale of production – whisky has by law to be matured in a barrel for three years and a day – there are now seven English distilleries in or about to come into production. The English Whisky Company and Adnams in Norfolk, Hicks and Healey in ­Cornwall and the London Distillery in Battersea are up and running. Others like The Cotswolds Distillery, East London Liquor Company and The Lakes Distillery are about to begin. Lakes Distillery, which aims to produce one million bottles a year, looks like the most ambitious project to date. Managing director Paul Currie has good whisky genes. His 89-year-old father, Harold, a former managing director of Chivas-Seagrams, set up the award-winning Isle of Arran Distillers with Currie’s help in the 1990s – the first legally made dram on Arran for more than 160 years. Currie was sure there was potential for distilling in Cumbria. “It’s a perfect location both from the point of view of landscape and environment. We’ve an outstanding source of water in the River Derwent, which runs through the peaty slopes of Scafell Pike and is known for its turbidity. And with 15m tourists visiting the Lake District every year, tourism will be a big part of the business.” They should be making their own contribution to that with a projected 50,000 visitors a year – the multimillion-pound distillery, Currie says, will employ around 35 people. While they wait for the Victorian farmhouse next to Bassenthwaite lake, which will house the distillery and visitors’ centre, to be converted and for their own single malt to be released in autumn 2017, they have already released a blended whisky called The One made from whiskies from all over the British Isles. It is already available in six export markets and should be in 20 by the end of next year. Although it started off quite conventionally, the company has become increasingly adventurous, experimenting with different grains and maturing whiskies in different types of casks. “Some work and some don’t,” says Nelstrop. “We know there are some that will never see the light of day.” They planned originally on getting 1,500 visitors a year – they currently get around 40,000 and sell 60,000 bottles annually to a largely English clientele. For the team behind the crowd-funded ­London Distillery Company, a fascination with history has driven the project. “We looked back to when whisky was last made in the UK and what type of ingredients they’d have been using,” says 32-year-old founder, Darren Rook, who used to work for the Scotch Malt Whisky Society. “Distillers’ yeasts weren’t introduced until the 1920s so they’d have been using brewers’ yeasts. We’ve been playing around with old ale yeasts – there’s one called Orange Esters that gives this extraordinary, marmalade character to the spirit.” Probably the most experimental of the new wave of English distilleries, they’re waiting until they have enough consistent base spirit to work with and are then going to age it simultaneously in different casks, some north of the border, he says. The type of wood that’s used can also play a part. 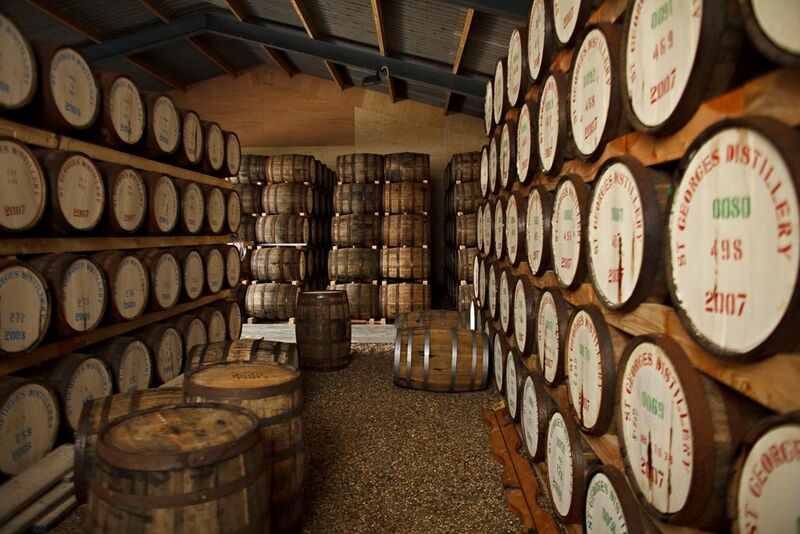 “In Scotland you have to use oak casks. We’re playing around with the idea of chestnut and maple and quite a lot of new wood,” says the Lakes’ Currie. “You come across whiskies that taste unbelievably mature at five years old,” comments whisky writer Charles MacLean, author of Malt Whisky: The Complete Guide. Interestingly, the recent boom in high-priced premium gins is helping many fledgling whisky­-makers realise their dreams. As it needs no ageing, it can be released as soon as it’s ­distilled, providing an income while the slumbering whisky casks mature. London Distillery is already producing the well-regarded Dodds while The Lakes’ gin, which will be infused with botanicals including juniper from the Lake District, will appear in the autumn. Adnams is making a whole portfolio of spirits and liqueurs, only producing whisky by chance when they found they had some spare capacity. They’ve found their single malt, released last autumn, has been a bestseller for them, already selling out of the 4,000 bottles they made. Other distilleries are boosting cash flow with ingenious plans to get well-heeled whisky aficionados to part with money up front. The Lakes Distillery has created two levels of investment – a Founders’ Club that can be joined for £595, which entitles members to one of the first bottles to be released, together with a limited-edition bottle for each of the next 10 years, and a Connoisseurs’ Club whose 60 members pay £12,000 for the privilege of having a whole named cask. The Cotswolds Distillery is offering punters a similar opportunity for a rather more modest £2,995. (So far they’ve sold two “with a lot more interest coming in weekly”.) Worth it? “Buying a cask of whisky is always a fun investment but it’s very hard to call at this stage what its value might be in 10 or 20 years' time,” says Bordeaux Index’s Graham-Yooll cautiously. What seems certain is that the tiny fledgling English whisky industry is unlikely to trouble the Scots, with their £4.3 billion export market, and that England’s distillers will not be looking over their shoulder at their Scottish neighbours for inspiration. “They’re not trying to be Scotch, nor should they be,” says whisky writer Dave Broom, author of The World Atlas of Whisky.